It all started when Religioso sisters, Yvette Religioso-Ilagan and Choc Religioso-Dayrit, did the entourage of Choc for her wedding in 2005. 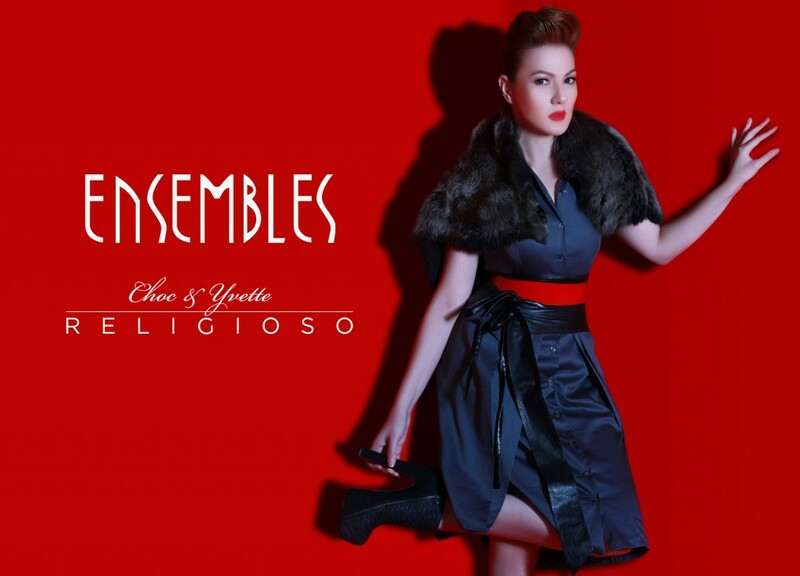 Now, Yvette and Choc Religioso collaborate with Ensembles for the very first time for its Holiday 2011 Designer Series Collection. Religioso’s signature designs are pleats and bows: classic pieces that offer a dash of style in creative details. “Every piece is stylish, but not faddish!”,Yvette exclaims when asked to described the collection they did for Ensembles. Their secret formula? Pieces that adhere to style that transcends. You will see subtle yet impactful structured treatments using color blocking and pleated textures. “It was a wonderful experience collaborating with top retail brand Ensembles since it developed and opened more doors to develop our creative network.” The collection is available in Ensembles stores since September 16. Ensembles by Relgioso embodies the stylish empowered woman of the new millennium, inspired by the well-dressed women of the past. Each collection originates from the classic button down shirt, given a dash of drama that is the signature of the line’s designers, Yvette Religioso-Ilagan and Choc Religioso-Dayrit.